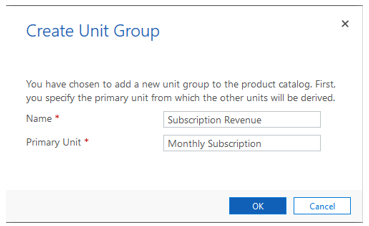 In this example, the Unit Group is Called Subscription Revenue. Subscription Revenue is measured in Monthly terms so Define Primary Unit as Monthly Subscription. You now have the Default units for subscriptions created in the system. You may use an existing Price List or create a New Price List. It’s important to use a currency that you will use to Invoice the customers.